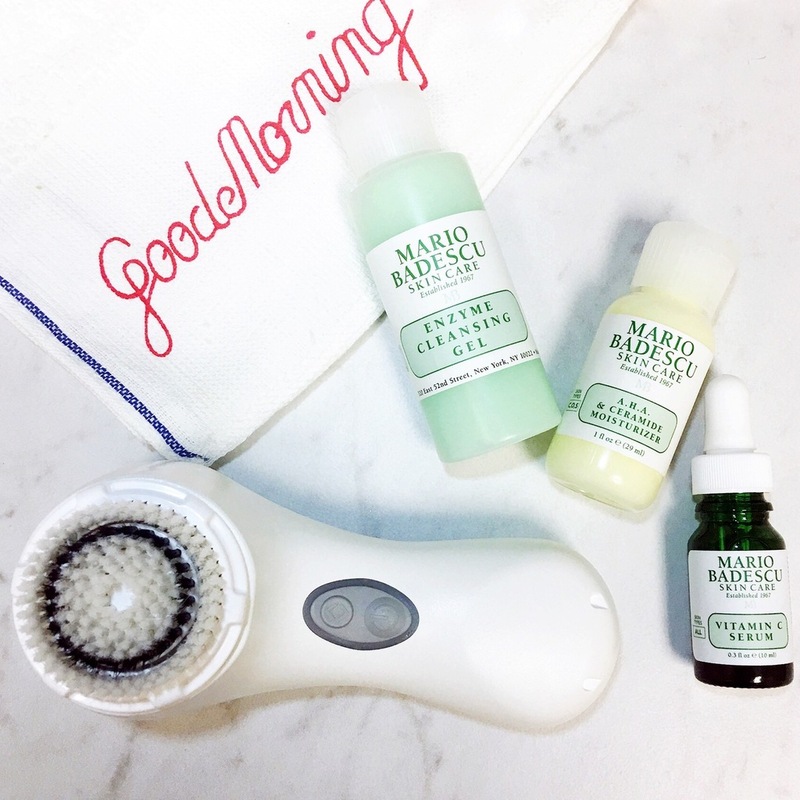 Introducing Clarisonic’s Mia 2 Mario Badescu Skin Favorites Set! Has a nice ring to it, doesn’t it? We’ve pretty much formed a skin care supergroup. We love hearing how much you love using Mario Badescu cleansers with your Clarisonic Cleansing Brush! Over the years, you’ve shared which MB products you pair with your brush for best results—so you can only imagine how excited we are to tell you all about a limited edition set featuring Clarisonic’s Mia 2 with three of our most popular complexion boosters. Clarisonic Mia 2 Cleansing Brush: Is clinically proven to cleanse skin 6x better than using hands alone, allowing for improved absorption of serums and moisturizers. Clarisonic devices gently oscillate—not rotate, which can be harsh to the skin—over 300 times per second. Enzyme Cleansing Gel: Our best-selling daily wash thoroughly cleanses without overdrying. It is formulated with Grapefruit and Papaya Extracts to gently brighten and leave skin feeling refreshed. Vitamin C Serum: Use this serum every other evening. Vitamin C works to repair and brighten skin by destroying free radicals and Hyaluronic Acid helps to maintain skin’s moisture balance. A.H.A. & Ceramide Moisturizer: A spring/summer favorite! This lightweight moisturizer combines brightening Lemon Extract with soothing Aloe Vera to soften and gently revitalize skin. Just as with most iconic supergroups, this one won’t last forever. Pick up your Mia 2 Mario Badescu Skin Favorites Set at Ulta or on Ulta.com before supplies run out.